Expect the evening commute in Prince George's County to be affected by the Washington Redskins game Monday night, and later, Metro will remain open an extra hour for fans riding the rail home from the game. The Redskins game against the Seattle Seahawks is scheduled to begin at 8:30 p.m. at FedEx Field in Landover. Officials say drivers should plan ahead for the evening commute as a result and are encouraging drivers to carpool, ride the Metro, add extra travel time or leave early. They're also encouraging drivers who don't need to get to the stadium to avoid the area and use alternate routes. Officials say football fans and commuters can get real-time traffic information Monday evening on Twitter by following the Prince George's County Police Department's Twitter feed and using the hashtag #GameTime. 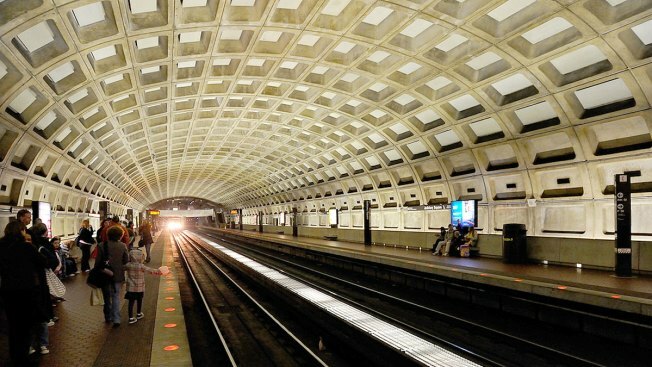 Metrorail will stay open an additional hour following the Redskins game. Fans traveling during the additional hour will be able to enter the system at the Morgan Boulevard and Largo Town Center stations. Silver Line to Wiehle-Reston East at 12:11 a.m.
Blue Line to Franconia-Springfield at 12:24 a.m.
Silver Line to Wiehle-Reston East at 12:14 a.m.
Blue Line to Franconia-Springfield at 12:27 a.m.
Blue Line to Largo Town Center at 12:32 a.m.
Station entrances at all other Metro stations will close at their normal times, but riders will be able to exit at all stations during the additional hour of service.